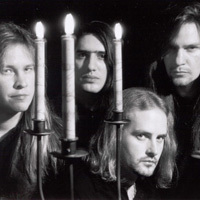 Toronto, Canada’s EIDOLON began in 1995 and features current guitarist for KING DIAMOND, GLEN DROVER and former INFERNAL MAJESTY drummer, SHAWN DROVER. Due to lack of chemistry, Slav was released from the band and would later release his first instrumental record in 1999. 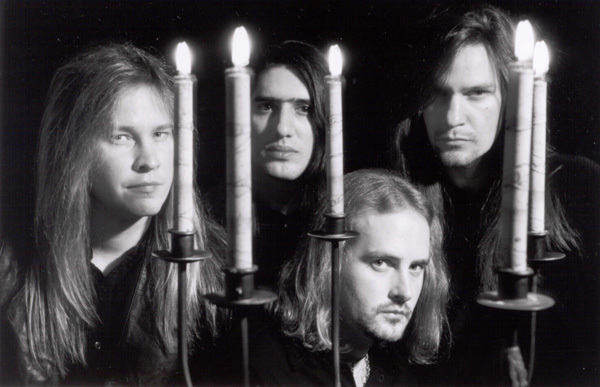 In 1997, now as a 4 piece band, EIDOLON returned to ECLIPSE RECORDING to begin work on their follow up to “Zero Hour” and 1st full concept recording. entitled “Seven Spirits”, this was a story of a young man struggling with his forced upon religion and with himself (Dorian), a young and beautiful woman (Sarah) guides him through a different path of life and religion – but is it the right path??? Both “Zero Hour” and “Seven Spirits” were released through independent distributor’s in Europe, Japan, Australia, Canada and America. Both recording’s received good review’s in many Rock magazines in the mentioned countries. After GLEN DROVER finished his North American tour in 1998 with KING DIAMOND (for “VOODOO”) EIDOLON began writing material for which would become their 3rd effort, “Nightmare World”. Recorded at ECLIPSE RECORDING, this record is the first to feature new bassist ADRIAN ROBICHAUD, as CRISS BAILEY opted to pursue other musical interest’s. 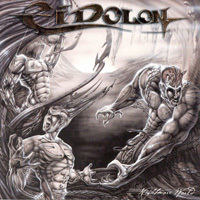 Staying true to what they truly believe in, EIDOLON have recorded true heavy metal with melody mixed with brutal riffs. 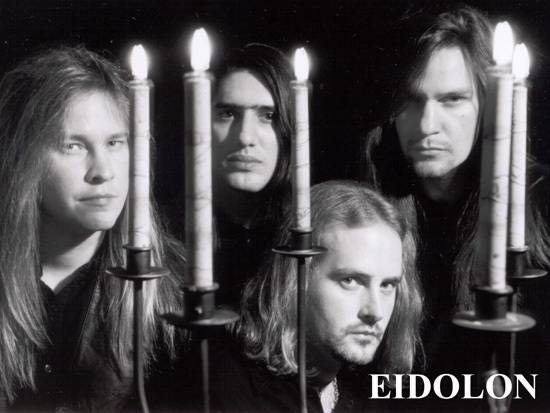 Wanting their music to reach a much greater audience, EIDOLON were preparing to shop their newest music to various record companies throughout Europe – the first being METAL BLADE. As fate would have it, METAL BLADE responded with a world-wide recording contract. stated to be released on JULY 3, “Nightmare World” will be released to the heavy metal masses in hopes that the metal community will embrace their latest offering of heavy metal. In closing, we would like to say one thing : the musical climate may change with the times – EIDOLON will NOT!